The climate varies from warm summer continental in the south to continental-subarctic in the northern part (Köppen climate classification: Dwc). For almost half the year, from mid-October until the beginning of April, the average temperature is below 0 °C (32 °F). Winters are very cold, with average high temperatures in Irkutsk of −14.9 °C (5.2 °F) and average lows of −25.3 °C (−13.5 °F) in January. Summers are warm but short: the average high in July is +24.5 °C (76.1 °F) and the average low is +11.2 °C (52.2 °F). However, by September, the weather cools down significantly to an average daily high of +15.3 °C (59.5 °F) and an average daily low of +2.5 °C (36.5 °F). More than half of all precipitation falls in the summer months, with the wettest month being July, with 96.2 millimeters (3.79 in) of rain. January is the driest month, with only 11 millimeters (0.43 in) of precipitation. Annual precipitation averages 419.8 millimeters (16.53 in). Mongolic-related Slab Grave cultural monuments are found in Baikal territory. The territory of Buryatia has been governed by the Xiongnu Empire (209 BC-93 CE) and Mongolian Xianbei state (93-234), Rouran Khaganate (330-555), Mongol Empire (1206-1368) and Northern Yuan (1368-1691). Medieval Mongol tribes like Merkit, Bayads, Barga Mongols and Tümeds inhabited in Buryatia. Today Buryat-Mongols remained in the territory of the oblast. Russian presence in the area dates to the 17th century, as the Russian Tsardom expanded eastward following the conquest of the Khanate of Sibir in 1582. By the end of the 17th century, Irkutsk was a small town, monasteries were being built, and suburbs and agricultural settlements were being formed. Since the 18th century, trades and crafts began to develop, and gold and silversmiths appeared. As Russian state expanded to the East of Irkutsk, the city became the capital of enormous territories from the Yenisey River to the Pacific Ocean, and played an important role in the exploration and securing of vast Eastern-Siberian and Far-Eastern territories for Russia. Gradually, Irkutsk gained more importance as the main transportation and trade center of Eastern Siberia; it became a center of trade routes from Kamchatka, Chukotka, Yakutia to Mongolia, and China. The administrative importance of the city also increased, and it became a center of a fifth of the provinces of Siberia; in 1764 it became a center of an independent province. For Irkutsk the 18th century was a time of research expeditions. Vitus Bering's first and second expeditions to the shores of Kamchatka were organized in Irkutsk. A merchant class was formed in the city of Irkutsk. In the second half of the eighteenth century, the Irkutsk industrial and merchant companies of Golikov, Trapeznikov, Bechevin, Milinikov, Sibirakov began to explore the Aleutian Islands and later Alaska. In 1799, the merchant companies were united in a Russian-American Company “for the trades on the territory of the Aleutian and Kuril islands and the rest of the North-Eastern sea, belonging to Russia by the right of discovery.” Grigorii Ivanovich Shelikhov, an outstanding seafarer, played an important role in controlling enormous spaces of the northern part of the Pacific Ocean. He founded the first colonies of Russian America through the Shelikhov-Golikov Company. In 1727, the Irkutsk Eparchy was founded. During the 18th century, schools, professional-technical education colleges, science museums, libraries, theaters, and book-printers were developed in Irkutsk. Educational and cultural organizations were opened. In 1725, the first school in Eastern Siberia, attached to the Voznesensky monastery, was opened, and in 1754 sea (navigation) schools and secondary schools were opened throughout Irkutsk Oblast. The 1780s were marked by the opening of the second public library in province towns in Russia, as well as a regional museum and an amateur theater. In Irkutsk outstanding representatives appeared, still remembered today. These were an architect, geographer, historian A.I.Losev, a writer I.T. Kalashnikov, and a teacher S.S.Schukin. Siberian science buildings were first opened. A.G.Laxman, Lomonosov's apprentice, one of the first Siberian mineralogists, worked in Irkutsk. The city landscape of Irkutsk was changing. The Spassky church, the oldest stone building in Eastern Siberia, the unique Krestovozdvizhenskaya church, the “Prikaznaya izba” (order house), the first stone construction, and the Triumph gate were built. In the late eighteenth century and the early nineteenth century, Irkutsk Oblast gradually increased in importance as a center of trade, craft, and culture. It became the center of trade with China and, since the 1830s, a gold-manufacturing center of Eastern Siberia. In 1803, Irkutsk became a center of Siberian general-governor unit, and in 1822 it became a center of Eastern Siberian general–governor unit. General-governors of Eastern Siberia greatly influenced the city's fate. Irkutsk merchants explored the Yeniseysky and Leno-Vitimsky golden regions, and with that they substantially increased their capitals, which made them become the richest merchants in Siberia. The Irkutsk merchant class began to play a major role in the city's development. Intensive city construction was undertaken. Private residences, hospitals, orphanages, and schools were being built, while significant funds were spent on education and the development of science in the region. The architecture of the city of Irkutsk was being changed. The White House, done in Russian classic style, the Moscow Triumphal Gates – a monument of the nineteenth century, were built in honor of the tenth anniversary of Alexander I's reign. In the second half of the nineteenth century the book printing were released in Irkutsk, the first newspapers being, “Irkutsk province news” and “Amur”. The names of A.P.Schapov, M.B.Zagoskin, V.I.Vagin were connected with the newspaper “Siberia”. In 1851, the first scientific organization in Eastern Siberia – the Siberian branch of Russian geographical society, was opened. In 1877, it was called the Eastern-Siberian branch. V.I.Dybovskii, A.L.Chekanovskii, I.D.Cherskii, V.A.Obruchev, geologists, geographers and researchers of Siberia, worked in Irkutsk Oblast on exploring Lake Baikal and the Lena River. The summer of 1879 could be considered to be a dramatic period in the city of Irkutsk's history. During a July 22–24 fire almost all the central parts of the city were burnt, and more than two thirds of city buildings and 75 city districts were destroyed. The city began to revive, getting a new look. Stone and wooden constructions built after the fire have been preserved up to the present day. In 1898 the arrival of the first train via the Trans-Siberian Railway to Irkutsk Oblast was a major event. The construction of the Trans-Siberian Railway contributed to further city development. Several politically exiled figures were connected with Irkutsk city. Among the first of the exiled was A.N. Radischev, who lived in Irkutsk for more than 3 months. Since the 1830s, the Decembrists lived in settlements and in colonies in the Irkutsk Oblast. The exiled houses of Volkonsky and Trubetskoy later became house-museums. N. A. Panov, I. V. Podzhio, A. Z. Muravyov, P. A. Mukhanov, A. P. Yushnevsky, V. A. Bechasnov, the wife of Trubetskoy and their children stayed in Irkutsk for the rest of their lives. In the late 1850s, the Petrashevtzy appeared in Irkutsk. The exiled historian-democrat, A.P. Schapov, lived here until his last days, and the Polish rebels and revolutionaries (including the narodnik) also lived here. A well-known Russian publicist of the nineteenth century, N. Shelgunov, wrote about Irkutsk: “Irkutsk is the only Siberian city, which has the city character. ...As England created London, France - Paris, Siberia – created Irkutsk. Siberia is proud of Irkutsk, “not to see this city” means “not to see Siberia”. In the early nineteenth century the city was considerably changed, especially its center. Large buildings were being built, mason streets were being made, cab drivers and street lights appeared. The water supply and the first electrification stations were built. The Irkutsk Regional museum was stamped with the names of Siberian researchers on its walls (1883), the building of the first public community, city theater (1897), Kazan' cathedral, made in new Byzantine style (1893), and the Roman Catholic cathedral (1895) completed an architectural style of the city. In 1908 a monument to Alexander III was opened on the Angara embankment. The city was damaged and influenced by the political events of the twentieth century – the Russian revolution, the 1917 October Revolution, the Civil war and the Great Patriotic War. Since the 1930s the industrial construction of the city had begun. Mechanical engineering plants, the air plant, brick and concrete plants, tea fabric, and food industry plants were being built. Economic development of the city contributed to scientific, educational and cultural development. The first Higher education in Eastern Siberia, Irkutsk State University was founded in 1918. Its departments were developing as independent institutes: medical, pedagogical, finance-economical. In 1930 the metallurgic institute was opened, in 1934 the agricultural institute was organized. Since the 1950s a rapid development of the city of Irkutsk took place. In 1947 streetcar routes were opened in the city and trolleybus routes were opened in 1972. In 1958 a TV center was established. The city's larger districts and micro regions construction period began. New districts such as Baykalsky, Solnechny, Yubileyny, Primorsky, Akademgorodok and others were created. The main industries of Irkutsk Oblast are metals, energy, logging, oil and fuels, machine-building, chemicals, food industry, and hydroelectricity. The average wages in Irkutsk Oblast are 10% higher than in Russia overall. During the Soviet period, the high authority in the oblast was shared between three persons: The first secretary of the Irkutsk CPSU Committee (who in reality had the biggest authority), the chairman of the oblast Soviet (legislative power), and the Chairman of the oblast Executive Committee (executive power). Since 1991, CPSU lost all the power, and the head of the Oblast administration, and eventually the governor was appointed/elected alongside elected regional parliament. 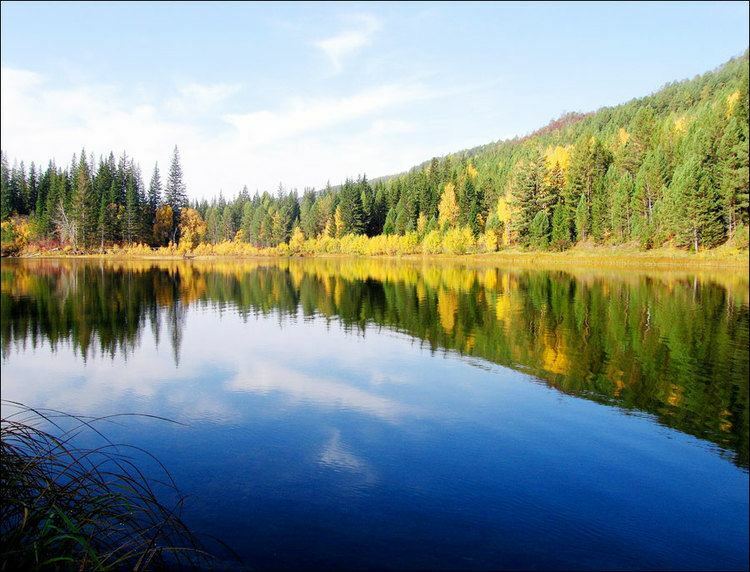 The Charter of Irkutsk Oblast is the fundamental law of the region. The Legislative Assembly of Irkutsk Oblast is the province's standing legislative (representative) body. The Legislative Assembly exercises its authority by passing laws, resolutions, and other legal acts and by supervising the implementation and observance of the laws and other legal acts passed by it. The highest executive body is the Oblast Government, which includes territorial executive bodies such as district administrations, committees, and commissions that facilitate development and run the day to day matters of the province. The Oblast administration supports the activities of the Governor who is the highest official and acts as guarantor of the observance of the oblast Charter in accordance with the Constitution of Russia. Population: 2,428,750 (2010 Census); 2,581,705 (2002 Census); 2,830,641 (1989 Census). The oblast is very thinly populated, with a population density of 3.5 people per square kilometer, compared to a national average of 8.7. Irkutsk is the administrative center and largest city, with 612,973 residents. Other large cities are Bratsk (238,825 people), Angarsk (229,592 people), Ust-Ilimsk (83,635 people), and Usolye-Sibirskoye (80,331 people). Most of the population are ethnic Russians. 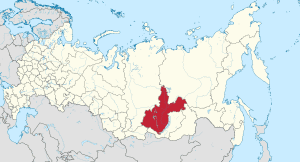 A minority group, the Buryats, have a special Ust-Orda Buryat Okrug inside the oblast. Russians and other Slavic/Germanic groups make up 93.5% of the population, according to the 2010 Census, while Buryats are 3.3%. Tofalars number 837, an increase from 722 in 1989. One small ethnic group, concentrated in three villages (Pikhtinsk, Sredne-Pikhtinsk, and Dagnik) in Zalarinsky District is the so-called "Bug Hollanders": descendants of Polish-speaking Lutheran farmers who had moved to Siberia from the then Russian Volhynia in 1911-1912 in search of affordable land. Although they had long lost German (or Dutch) language of their ancestors (even in the early twentieth century they spoke Ukrainian and read Polish), they were still considered ethnic Germans, and during World War II were usually drafted for work in labor camps, instead of front-line military service. Irkutsk Oblast registered natural population growth in 2008, the first time after 1993. Still, the future prospects for population growth in Irkutsk seems bleak. In 2007, women in Irkutsk were having an average of 1.602 children each. Fertility rate was extremely low in urban areas, where women were having just 1.477 children each. In rural areas however, the fertility rate was slightly above replaceable levels. In rural areas of Irkutsk Oblast, women were having an average of 2.165 children each. (Figures are not available for 2008, although for Russia as a whole fertility rates for 2008 were approx. 6% higher than that in 2007, and for Irkutsk 9% higher). Natural Growth Rate: +0.11% per year (+0.01% in Urban areas & +0.34% in Rural areas). According to a 2012 survey 28.1% of the population of Irkutsk Oblast adheres to the Russian Orthodox Church, 7% are unaffiliated generic Christians, 6% are Orthodox Christian believers without belonging to any church or are members of other (non-Russian) Orthodox churches, 2% of the population adheres to the Slavic native faith (Rodnovery), and 1% to Islam. In addition, 37% of the population declares to be "spiritual but not religious", 17% is atheist, and 1.9% follows other religions or did not give an answer to the question. 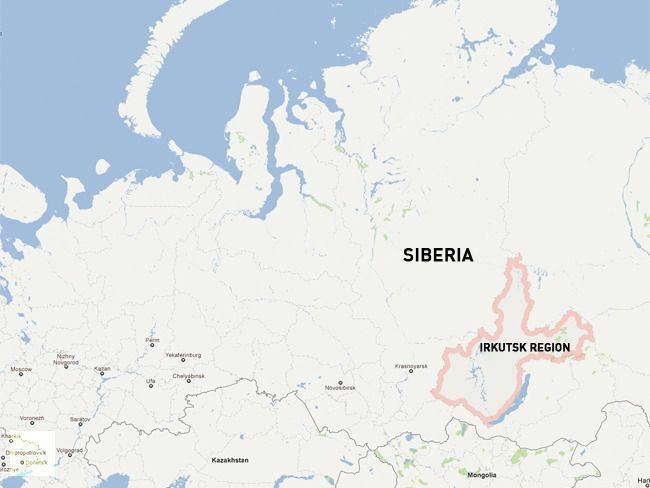 Despite its remoteness, Irkutsk was reported in 2004 to have the highest HIV infection rate in Russia. Tens of thousands of drug addicts, mostly ethnic Russians in their mid to late teens are infected. The number of reported AIDS cases increased by more than 10,000% during the 1999-2000 period. Although the epidemic, which started in 1999, is reported to have slowed down, Irkutsk will lose tens of thousands of its working age population from 2010 onwards. This is one of the reasons Irkutsk's male life expectancy, at 53 years, is one of the lowest in all of Russia. Preventive measures are in place to prevent the spread of the epidemic to the generation which was born after the breakup of the USSR.